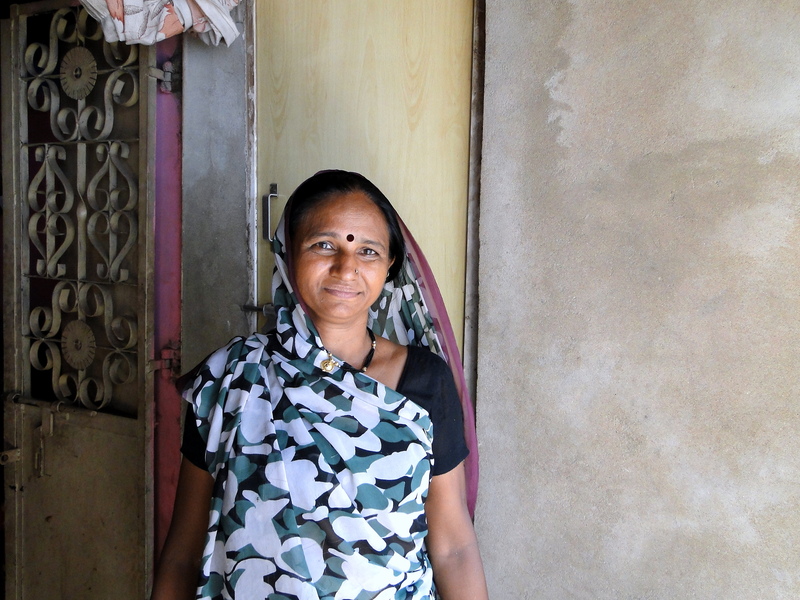 Lakshmi displays the bathroom she got made through an Asset Creation Loan from Saath-Cooperative. My association with Saath started with the Compulsory Savings Plan in which I saved INR 100 per month without fail. I believe savings are very important as they ensure we remain afloat on a rainy day. Soon enough, I realised that my house needed some renovation. When I discussed this issue with the field officer, she told me that I was eligible for a loan from Saath. The amount, INR 5,000 was exactly what I wanted and the installment and repayment schedule was also very agreeable. Not only did I make repairs in the house, I also built a small bathroom – a facility which is pretty scarce in our neighbourhood. I am going to continue my relationship with Saath because of the conducive environment. I feel that my savings are safe with them and their loan structure is pretty simple to understand and easy on the pocket. This story was documented by Ms. Devina Sarwatay who interned with Saath for a month in summer. She visited the field and met the members of the Cooperative. This entry was posted in Community Channel, Daily Dose of Saath and tagged Case story, MFI, Microfinance, success story, The Saath Savings & Credit Co-operative Society Ltd.. Bookmark the permalink.